This fantastic house at the intersection of modern and 60s hippie is the Greene Residence, built in 1961 by architect Herb Greene in Norman, Oklahoma. Greene built the house for himself and his family. 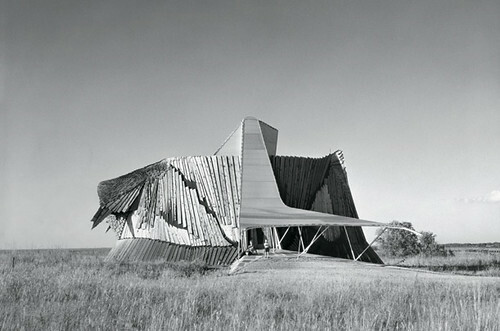 It was dubbed the “Prairie Chicken” house by Life magazine shortly after it was built, and the name just stuck. 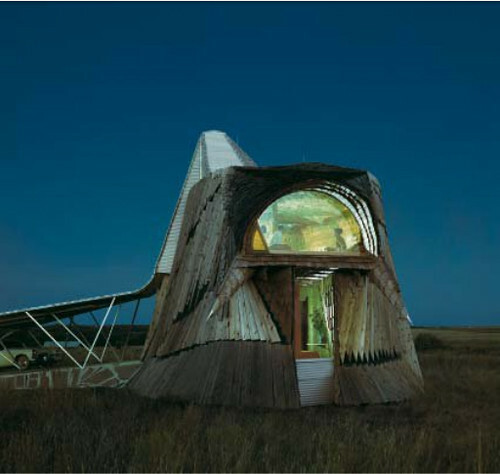 Greene was influenced by the organic architecture of Frank Lloyd Wright and by architect Bruce Goff, and in turn it seems obvious that Greene’s wavy forms have influenced the work of Frank Gehry. 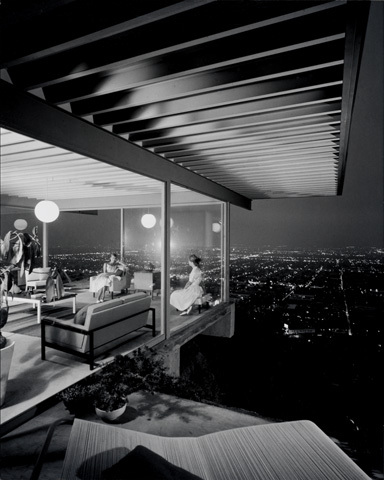 The photo was taken by Julius Shulman, the photographer most famous for his photos of the Case Study Houses in LA but who has also photographed thousands of buildings all over the US, including many more in Oklahoma. The photos are taken from Taschen’s Modernism Rediscovered , now also a 4-part series of Shulman’s photos of forgotten modern masterpieces, including many previously unpublished photos from Shulman’s own archives. Totally worth buying if you’re a modernism person. Julius Shulman is still working. He’s 99 years old. More photos of the house, by Lynne’s Lens on Flickr, here. This entry was posted on Thursday, March 19th, 2009 at 8:47 pm	and is filed under design. You can follow any responses to this entry through the RSS 2.0 feed. You can leave a response, or trackback from your own site. where is the praire house located in east Norman? Trespassing signs at the entrance to the driveway). know, and I’ll take you on a tour!